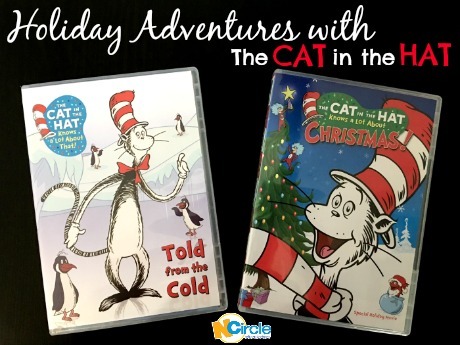 Let’s talk holiday wish lists. 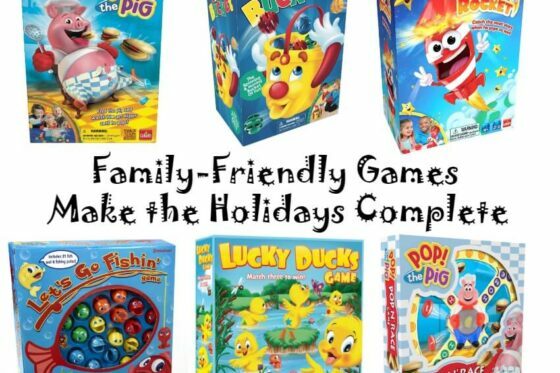 The kids are usually fairly easy, but what about us – the parents and spouses? Does your wish list consist of things you want simply because it’s gift-giving season? Or does your wish list look more like mine, with things you really need? 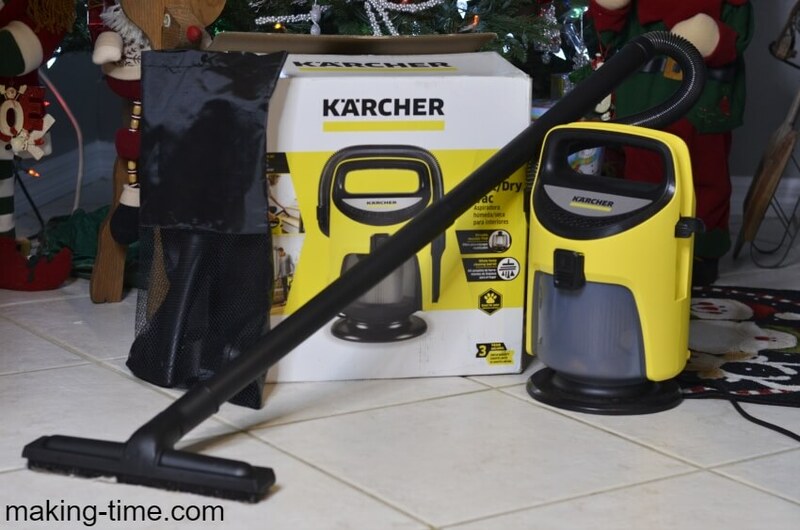 Yes, I’m that person that actually enjoys being gifted stuff I need, like a new Multi-Purpose Vacuum Cleaner from Kärcher. Since moving out of my parents’ house many moons ago and out on my own, my holiday wish list has consisted of stuff I need. I’ve always said, you know you’re an adult when you want something that no one else would ask for. You get excited about a new rug, set of dishes, bed sheets, and all that other stuff. Well, welcome to adulthood. I remember one year while I was still in college, my parents wrapped up a 12 count pack of toilet paper. Ya’ll…I knew exactly what it was when I picked it up. It was the funniest thing, but every time I came home for a visit, I’d leave with toilet paper. Since it was the holidays, they decided to just wrap it up and make it one of my gifts. One thing I’ve been in need of over the past few months is a vacuum for the hard floor. Rechargeable ones I’ve been using just don’t stay powered long enough to clean the whole house, making it a tedious task. I’ve been wanting and needing a new one for months now. It’s one of those things I know I need, but I’m not likely to just run out and buy, so it made it on my holiday wish list. And in a holiday miracle, I can now clean my house with ease. 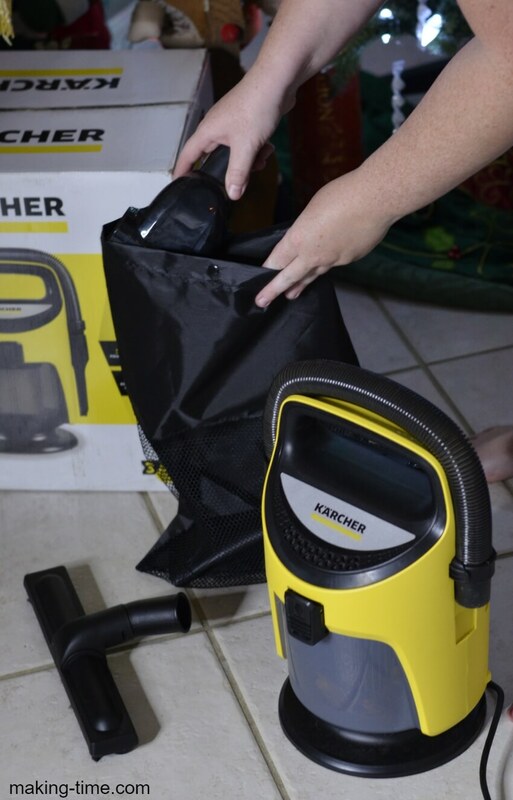 My new Multi-Purpose Indoor Wet/Dry Vacuum Cleaner from Kärcher is ah-mazing. Why did I choose Kärcher? Let me preface this by saying, there are 4 adults, 3 kids, and 1 dog in my house right now. 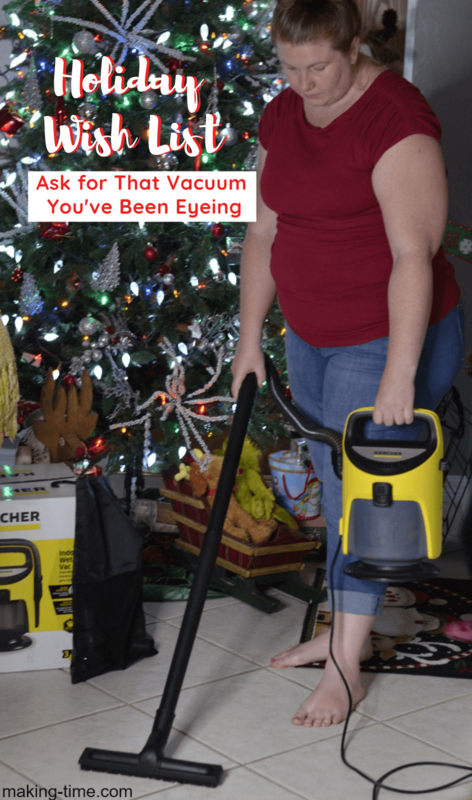 I’m sure you can imagine just how much I have to clean to keep things in order – milk and juice spills, water around the dog bowl, grass from the kids playing outside, everyday dirt and dust collecting along the baseboards, and everything else. 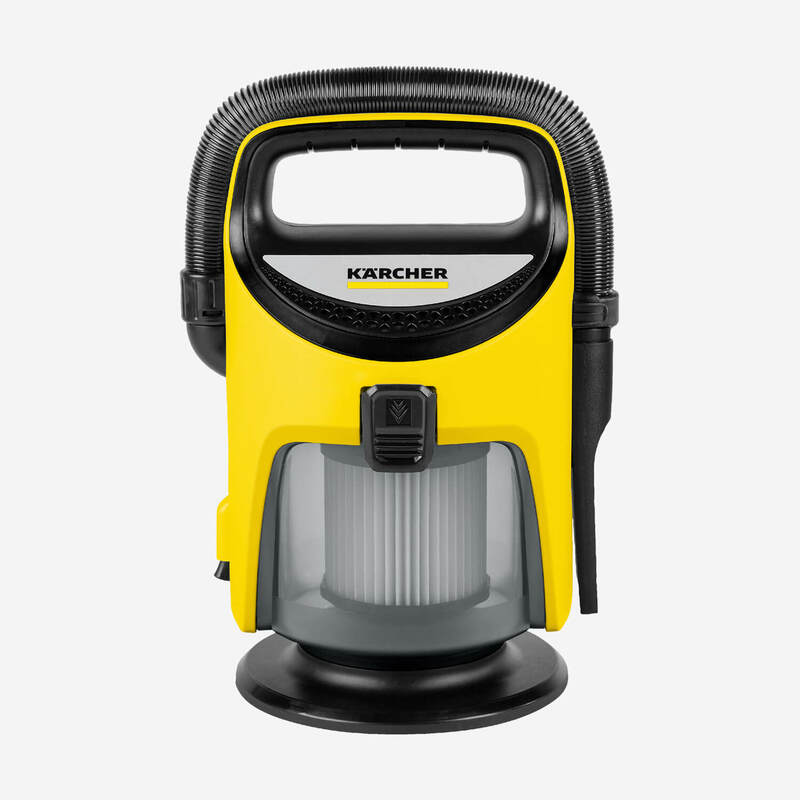 This Wet/Dry Vacuum from Kärcher can handle it all. 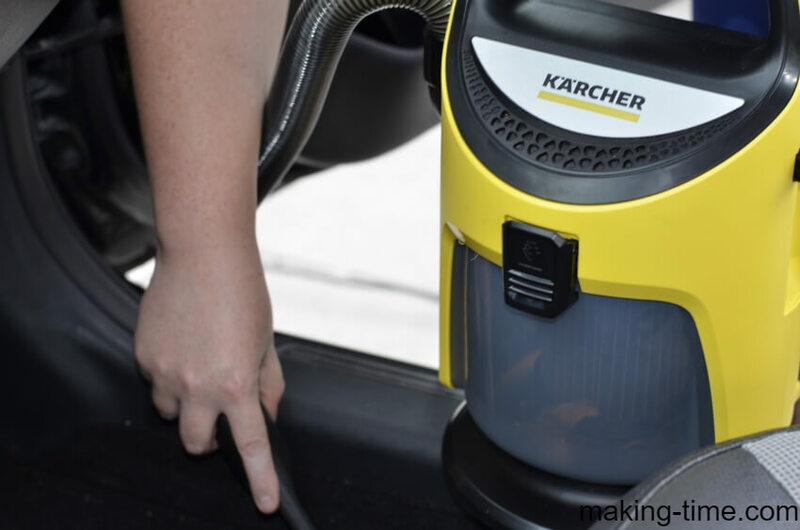 Switch between wet and dry vacuuming, with no filter replacement needed. Convenient cord storage around the bottom. Multiple tool attachments – pet hair tool, dusting brush, crevice tool, wide crevice tool, hard floor nozzle and 2 extension wands. Hanging tool attachment bag for easy storage. Hard floors (wet or dry). The Multi-Purpose Indoor Wet/Dry Vacuum has proven to be a great addition to my family. I’ve been cleaning the floors in half the time and even vacuumed out the car the other day. All of those soccer practices and tournaments have really done a number on the car interior- grass, dirt, and sand everywhere. This vacuum may be small, but boy is it mighty! There are so many things to love, it’s hard to choose my favorite feature – it’s lightweight and easy to carry; there are plenty of attachments to clean whatever I need to; and the storage bag is awesome. In the past, any vacuum cleaner attachment that entered my home seemed to disappear into thin air. No one knows what happened to any of them. But with the storage bag that’s included with this vacuum, I can keep all of the attachments together and even hang them out of reach of the kids (I’m sure they’re partly responsible for the mysterious disappearances). What is something you need to put on your holiday wish list? I love this vacuum, it has all the features I want. Especially the wet floor feature, we have been trying to find one with this for a while. It’s compact and can handle our messes for sure. Thanks so much, it is now at the top of my purchase for my Christmas list. I can’t wait to get it. This vacuum is super!! I love your review and am going to look into buying one now..